The same technology that produced the earliest forms of ice cream will chill your drinks faster than your fridge can. Mixing salt, water and crushed ice in the correct proportions creates an icy solution with a temperature that is well below the freezing point of water. A saturated salt solution can produce temperatures as low as -5 degrees Fahrenheit. The salty ice slurry can be used as an inexpensive cooling bath to rapidly chill anything that is submerged in it. Make a saturated salt water solution in an insulated bucket by adding 6 ounces of table salt to a pint of room-temperature water. Stir the solution with a wooden spoon until the salt is completely dissolved before adding another pint of water and 6 ounces of salt. Do not use more than half a bucket of water to avoid overflow when the ice is added. Add crushed ice to the bucket a little at a time, stirring with a wooden spoon as you add the ice. Continue to add ice to the slurry until the desired level is reached in the bucket. Do not allow the ice slurry to make contact with bare skin, as the temperature of a saturated salt-ice slurry rapidly falls below the freezing point of water. Contact with skin may cause injury. Lower the drinks slowly into the slurry, using tongs. Dropping the cans into the bucket may cause splashing and possible injury. Leave the drinks under the surface of the ice slurry for five minutes before removing them from the bucket with tongs. Soda in glass bottles should not be cooled using this method, as the rapid change in temperature may shatter the glass. Lewis, Pearl. 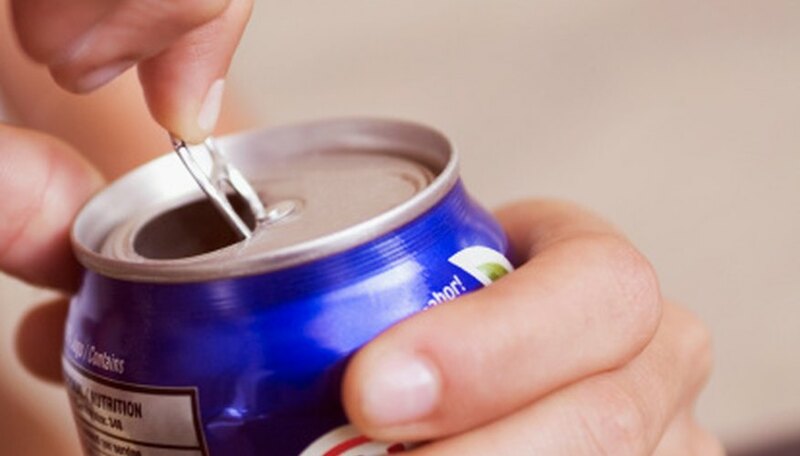 "How to Cool a Can of Soda in Ice Water & Salt." Sciencing, https://sciencing.com/cool-soda-ice-water-salt-8030959.html. 24 April 2017.